Legal News: Does a Used Pickup Truck Qualify For Section 179? 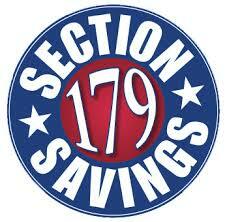 Many business owners consider Section 179 to be somewhat of a mystery, but in reality, it’s not that difficult to understand. In essence, Section 179 is a part of the IRS tax code that allows you to take the full purchase price of qualifying equipment and deduct it from your taxes. Of course, like any tax code, there are going to be exceptions as well as considerations. These may differ depending on whether you file as an individual or as a business owner. One of the things that many people wonder is if a used pickup truck for sale is going to qualify for Section 179. It is important to note the tax code changes on a regular basis, so it’s always a good idea for you to verify this information with your accountant. If you purchase a used pickup truck or even a used utility truck for commercial usage, it is going to be deductible under Section 179 (Source: Used Utility Truck by Hengehold Trucks). You will be able to take the full purchase price of the truck and deduct it from your taxes. It is important to note, however, there is another consideration which is known as bonus depreciation. This is only going to be allowable on new equipment, including new vehicles. If you are a large business and spend $560,000 or more annually on capital equipment, you may be able to take advantage of the bonus depreciation on new vehicles that are purchased. You will not be able to use it on used vehicles. There are always considerations when purchasing anything for your business. Talk to your accountant before making your purchase to determine if it is going to be to your financial benefit to purchase something that is used. You will likely find that it will be beneficial.